Slowly but surely, Alfa Romeo is knocking its Giulietta into pretty good shape. Jonathan Crouch looks at the latest improved Euro 6D-compliant version. 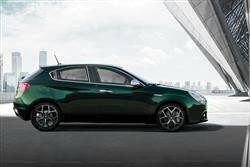 Alfa Romeo's Giulietta premium compact hatch has been consistently improved over its lifetime. Now it gets Euro 6D-compliant engines, a new trim structure and some extra options. Time, perhaps, to give this car another look. Alfa has simplified this Giulietta's engine range. Things kick off with a 120hp version of the brand's 1.4-litre turbo petrol unit. Most buyers though, choose the volume 120bhp 1.6-litre JTDM-2 diesel variant, offered either in manual or TCT dual clutch auto transmission form. You have to have the TCT 'box with the top 190hp 2.0-litre diesel Veloce variant. All models still get the neat 'D.N.A' set-up we first saw on the MiTo, a system that via the 'Dynamic', 'Normal' and 'All-weather' settings accessible via this rocker switch near the gearlever, offers the driver pre-set modes to vary control of engine, gearbox, steering and VDC stability control system, so optimising the car's behaviour to either the conditions or the driver's preference. It tweaks the standard Q2 electronic differential too, this one of those systems that works through the turns to counter both understeer and wheelspin by lightly micro-braking whichever front wheel is threatening to lose grip. 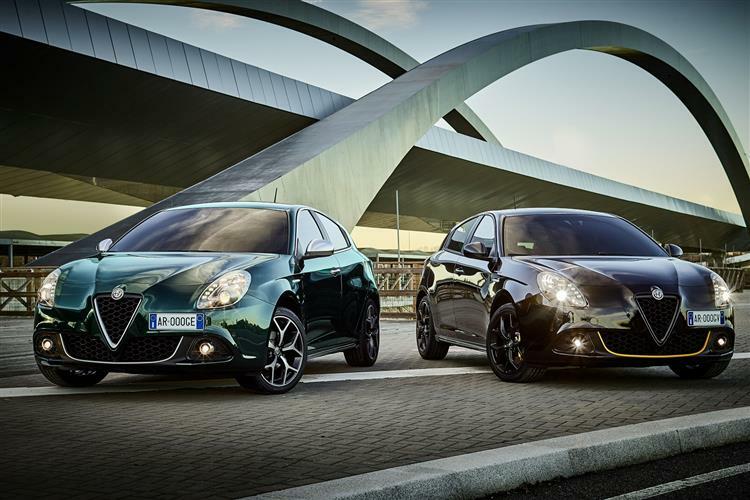 Even now, we can't quite decide whether the Alfa Romeo Giulietta is a good-looking car or not. It's extremely colour and trim sensitive. Have a little play on Alfa's online configurator and just by making some small changes to wheels and paint finishes, you can rapidly turn a stunner into something rather less attractive. This current model gets sleeker front-end styling that includes a striking honeycomb grille, piano black bumper inserts with red highlights on sporty models and revised headlamp and fog lamp surrounds. The idea is to emphasise the Giulietta's close genetic links with Alfa Romeo's premium segment Giulia sports saloon: hence the smarter badging, classier alloy wheels, revised tail pipes and fresh new colours. Inside, there are premium seat upholsteries, dashboard and door panel finishes. Plus a Uconnect infotainment system with smartphone-enabled LIVE services. These include music streaming with access to the Deezer and TuneIn set-ups, news with Reuters, Facebook Check-In and Twitter. Plus Alfa's useful 'eco:Drive' and 'my:Car' services, along with traffic updates for navigation-equipped models. Otherwise, it's pretty much as you were. Those sleek lines don't impinge on practicality too much, although there's not as much space in the rear as the exterior dimensions might suggest. The 350-litre boot is competitive and Alfa has built a range of storage options into the cabin. The controls are arranged in tiers on the sweeping dash and there's a suitably traditional set of cowled instruments. 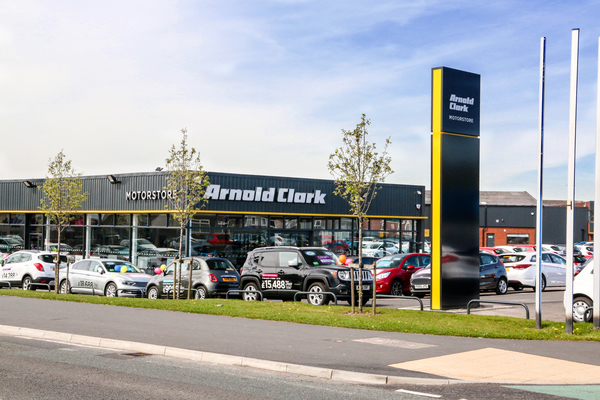 Prices range in the £20,000 to £26000 bracket and in the mainstream range, there's a choice of standard, 'Super', 'Speciale' and 'Veloce' trim levels. Even base 'Super'-spec gives you 17-inch Turbine alloy wheels, cruise control, dual zone air conditioning, front fog lights and rear parking sensors. 'Speciale'-spec adds aluminium kick plates and pedals, Alcantara-trimmed sports seats with red stitching and red stitching on the flat bottomed steering wheel, gear lever and handbrake. Alfa hasn't skimped on safety features and the Giulietta gets a complement of six airbags plus an array of electronic devices designed to let drivers extract the maximum from their car while staying safe at all times. There's ABS anti-lock braking with Electronic Brake force Distribution (EBD); Vehicle Dynamic Control (VDC) - Alfa Romeo's interpretation of Electronic Stability Programme; Cornering Brake Control (CBC), Dynamic Steering Torque (DST), Hydraulic Brake Assistance (HBA) and a Pre-Fill function for the brakes. This helped the Giulietta achieve a record 87 out of 100 score on the revised EuroNCAP ratings. Under the bonnet, Alfa has worked hard to keep running cost figures competitive with his car's premium segment rivals. As a result, both manual and automatic versions of the volume 1.6-litre JTDM-2 120bhp diesel model manage 74.3mpg on the combined cycle and 99g/km of CO2. This means a BIK rating of 17%. Every powerplant in the line-up is now compliant with Euro 6D regulations. As for a few specifics, well the entry-level 120bhp 1.4 petrol turbo manages 45.6mpg and 144g/km of CO2. If you're interested in the 2.0-litre JTDM-2 1250bhp diesel, you're talking 65.7mpg and 113g/km. All models in the Giulietta range come with five years warranty, three years scheduled servicing and five years roadside assistance as standard as part of the brand's '5-3-5' campaign. In other words, the days of Alfas being money pits for hopeless romantics are long past. As an object lesson in how to make an unpromising car come good, you can't really do a great deal better than the Alfa Romeo Giulietta. You could cite a few other vehicles that developed into something rather good after a slow start. The Jaguar S-TYPE, the BMW X3 and the Mazda3 spring to mind and the common theme running through all these models is that they became better cars than the British public gave them credit for. The same may well be true of the Giulietta. It's a far more focused sales proposition now than in 2010, but the old perception tends to be the one people carry with them. Communicating that the car has moved on ought to be Alfa's priority. The latest Euro 6D-compliant package puts this car right into contention with the class best. It's never going to be quite as cheap to run as a Golf, but it's about on a par with a Focus and Ford's family favourite has never exactly been perceived as a crazy indulgence. Perhaps it's time you gave the Alfa a second chance.